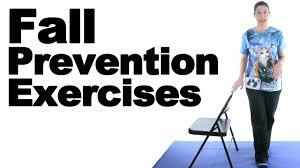 These classes help individuals reduce their risk of falling through strength, flexibility and balance exercises. Led by Jeannie Burke, who has a Masters Degree in Exercise Physiology; these 55 minute classes are held at Church of the Trinity on Thursdays at 11:00 am. Exercises include proper walking techniques, balance exercises, weight shifting, core strengthening, and stretching. A $4 donation is suggested, but any amount would be appreciated. Please wear comfortable clothes and flat-soled shoes or sneakers. Bring a bottle of water and a friend!